Tailwind uses email to communicate with you about your account, bring you news about the latest product updates, and share helpful tips and articles from our blog! Of course, you can subscribe or unsubscribe from any of these emails whenever you want. Go to your Email Notifications (located in the settings menu in the top right hand navigation). 2. 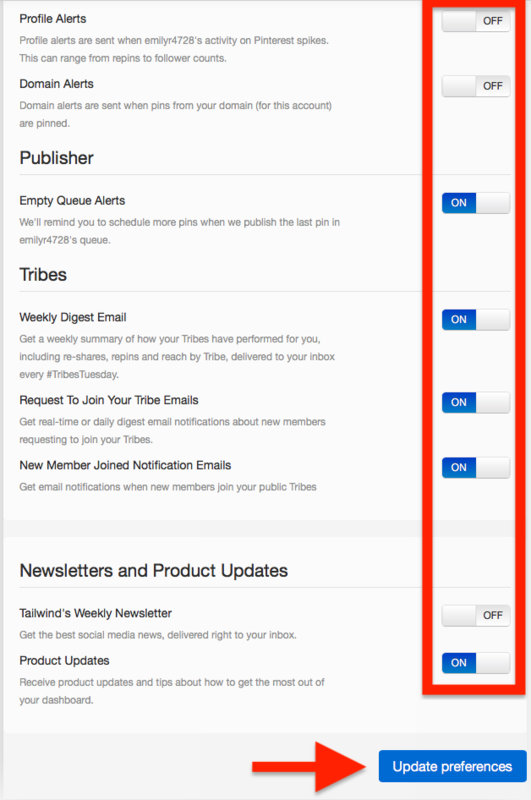 Toggle off and on any emails you'd like to keep or turn off. 3. Click "Update Preferences" button to save changes!